Black & Veatch has teamed up with Keppel Shipyard to convert a Golar LNG carrier, the ‘Gandria’ into a Global floating Liquefaction facility (GoFLNG) at a cost of $684 million. Its patented Prico technology, industry expertise and engineering, procurement and construction (EPC) capabilities will be used to liquefy natural gas at sea and meet growing global demand for energy, said a statement. Hoe Wai Cheong, executive vice president and executive director of EPC projects for Black & Vetch, said: “New GoFLNG facilities are set to reduce the cost and time required to monetize and deliver offshore gas to market. In July last year, Black & Veatch announced its contract for the conversion of the Hilli. Following which the companies joined together again in December to announce a similar effort that would convert the GIMI into a GoFLNG facility. Black & Veatch had also worked with Golar in early 2012 on the concept and front end design for FLNG vessel conversions. The work scope for Keppel Shipyard and Black & Veatch to convert the Gandria will be similar to that of the two earlier projects. Black & Veatch will provide its successful Prico liquefaction technology as well as perform detailed engineering and process design, specify and procure topside equipment, and provide commissioning support for the GoFLNG Gandria topsides and liquefaction process. Keppel Shipyard will provide the design, detailed engineering and procurement of the marine systems and all of the conversion-related construction services. Michael Chia, managing director (marine and technology), Keppel O&M, said: “We are extremely pleased to be executing a third GoFLNG conversion contract and thank Golar LNG for entrusting us with this repeat contract and for their continued confidence in our capabilities. Gary Smith, chief executive officer, Golar LNG, said: “We are happy to deepen our collaboration with Black & Veatch whose Prico technology has proven its simple and cost effective credentials in 25 plants around the world. Similar to the GIMI, full construction activities of the Gandria will only commence after receiving a notice to proceed, which is expected next year. The Golar GoFLNG Gandria has been scheduled to be delivered approximately 31 months after receipt of the notice to proceed. 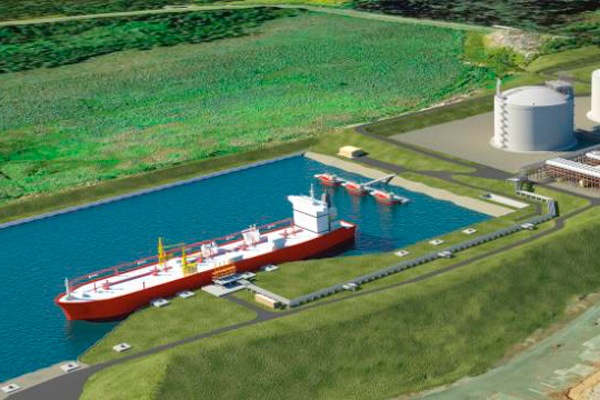 The conversion award of the Gandria marks the exercise of the second of two options detailed in the original agreement to convert the HILLI into a floating liquefaction facility.